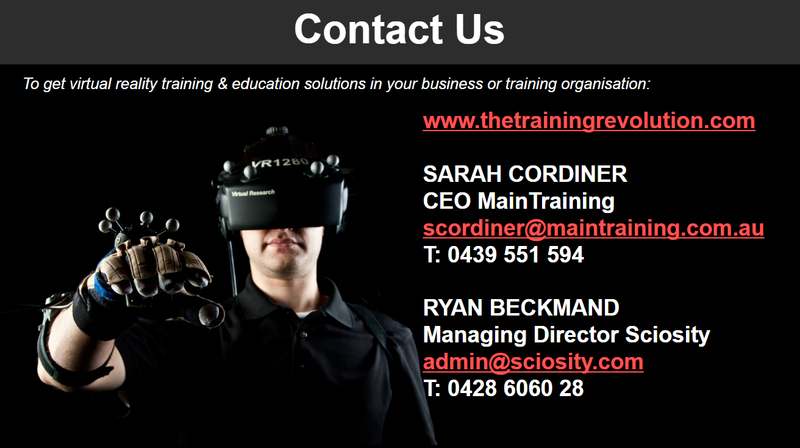 This is the FREE recording of a live information evening hosted by Ryan Beckmand (Managing Director of Sciosity), and Sarah Cordiner (CEO of MainTraining) that was held on Wednesday 24th February in Perth, Western Australia. 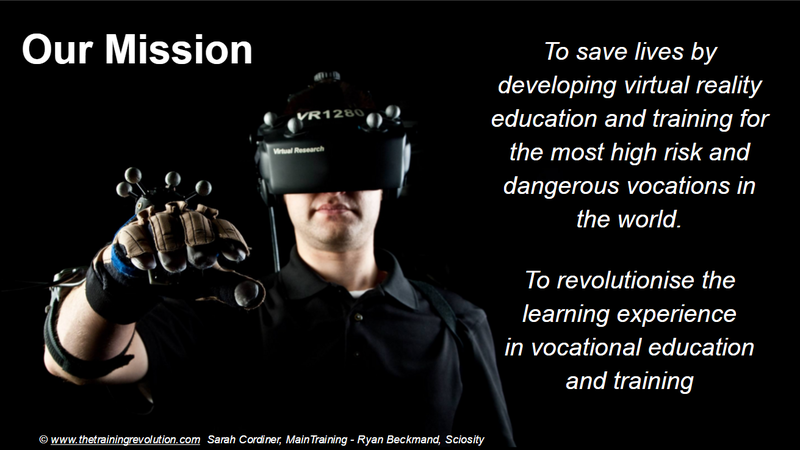 It is all about how virtual reality technology is being combined with curriculum design to completely disrupt the way vocational education and training (VET) will take place forever; as well as how it is being used to save the lives of our global workforce. Technology is currently disrupting almost every form of how we experience life; and at last the little-changed vocational education and training sector has finally caught up. This means it will never be the same again. The rise of virtual reality, artificial intelligence, and other technologies have forced inevitable disruption of the vocational training industry; and those organisations, businesses and training institutions who are not at the forefront of this change are set to be left behind as the industry fast embraces the long awaited development. The evening (and this recording) was an opportunity for those involved in certain sectors of industry and Government to learn more about this coming shift in vocational training methodologies as well as network with fellow learning and development professionals from across industry sectors. Please feel free to share this recording with your colleagues, staff and wider network. Join my free Facebook community "Entrepreneur to EDUpreneur"
Saving lives by providing virtual reality education and training for the most high risk and dangerous vocations in the world. We are the world’s first provider of accredited and non accredited training and education experiences through virtual reality. 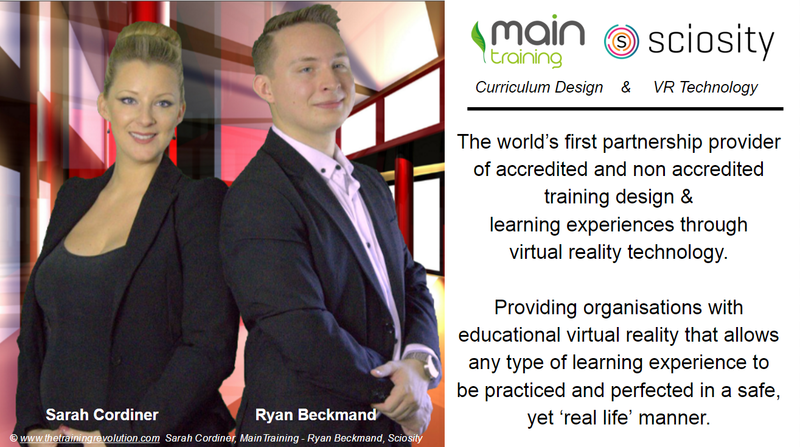 We design and develop tailored curriculum and training programs and provide the virtual reality system that allows any type of learning experience to be practiced and perfected in a safe, yet ‘real life’ manner - for organisations, educational institutions, training organisations, Governments and more. We have combined the unique experience of two specialty businesses to bring this world first service to international industries. 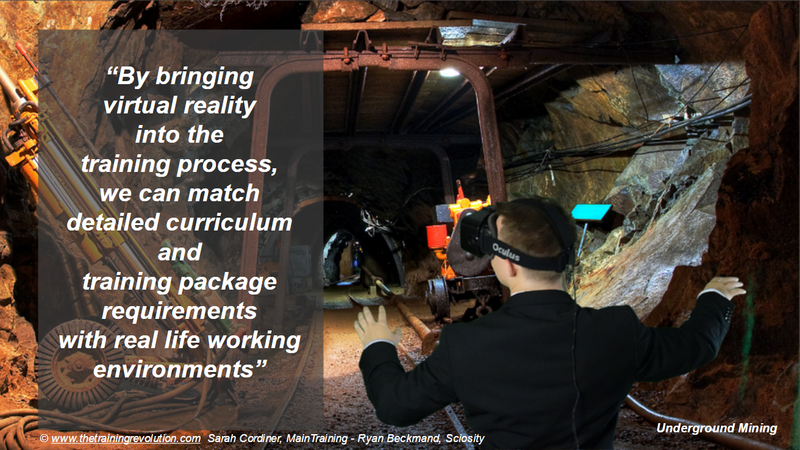 We combine a virtual reality and artificial intelligence system by which any type of training can be experienced/delivered in an immersive and simulated ‘to context’ manner. Educational instructional design experts who specialise in developing tailored accredited and non-accredited curriculum, training and assessments to meet specific competency, skills and knowledge outcomes to meet regulatory requirements, national qualification frameworks and highly specialised organisational working practices. Ultimately, delivering a world first service that provides a tailored instructional training curriculum through virtual simulation, implementation and assessment; allowing any training to be delivered safely, anywhere. All vocations require personnel to be adequately equipped to undertake their duties and stay safe - but some more so than others. In many industries current training practices, although significantly advanced, have sufficient limitations in preparing the workforce for the most high risk, and threatening of scenarios they face as a part of their job on a daily basis. There are many highly dangerous training scenarios that simply cannot be ‘practised’ in real-life due to the nature of the work - and not being sufficiently prepared for these scenarios has killed people. The world’s first partnership of it’s kind, an advanced virtual reality company, Sciosity and MainTraining, curriculum design specialists; provide virtual reality training, education and assessment experiences to bring training to life, and to help businesses sufficiently train their workforce, saving lives on the field. Here is your FREE video recording of this week’s Learning & Development Manager’s workshop called “The Training Manager’s Guide to Maximising Staff Training on a Minimum Budget”: CLICK HERE for the free recording. This workshop recording reflects my International Number 1 Best-Selling Amazon Kindle eBook. 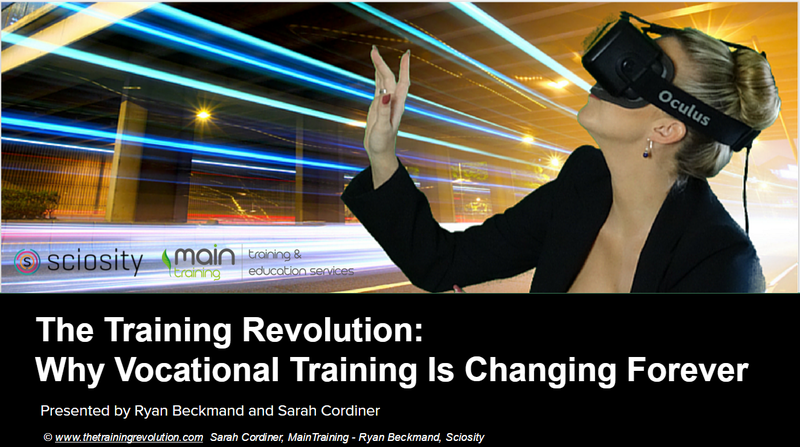 Together, Sarah Cordiner (CEO of MainTraining) and Ryan Beckmand (Managing Director of Sciosity), form a legal partnership 'The Training Revolution', that provides virtual reality training and education experiences for accredited and non-accredited training.